A new, ambitious homeowner may have creative design ideas and believe that they can follow them through without any additional help. After some time, and they will realize that they will need professional help to create a modern kitchen. Apart from other huge advantages, hiring designers from Bow Valley Kitchens will save time and stress. Hiring a professional designer removes burdens from a homeowner’s shoulders. Home renovation involves a multitude of issues, including accepting deliveries, finding vendors and other fine details. Bow Valley Kitchens’ designers have long-standing relationships with vendors, suppliers and manufacturers. They see to minor tasks and ease the homeowner’s strain. The company’s designers bring their well-honed skills to the table. Their years of training include knowledge in plumbing, construction and electrical systems. They are also familiar with local building codes. Further, design communication involves three-dimensional drawings, which trained designers know how to interpret. This removes the minor flaws resulting in major consequences. A drawing misinterpretation may end in electrical wires and plumbing being wrongly fitted. Homeowners can benefit from a professional’s design sense. A professional designer knows how to create functional spaces and make them beautiful as well. Competent designers are able to find special opportunities that a two-dimensional drawing may not communicate. Bow Valley Kitchens’ designers can spot the nooks and crannies that homeowners may not have considered before. Their expertise allows them to present owners with more creative options. They save a homeowner the time needed to look through endless brochures and magazines, doing so by streamlining designs and presenting products that will suit his needs. A professional designer ensures that homeowners get the best value for their money. They offer this value in terms of creativity, function and style. They prevent the hassles of renovation mistakes by coming up with the best floor plans, designs and materials. Professionals from Bow Valley Kitchens will present the products that have the best resale value. They will guide homeowners through design options that will allow them to keep within their budgets. Homeowners who try to see to their kitchen renovations on their own often have problems communicating with suppliers and manufacturers. Bow Valley Kitchens’ professionals have developed strong relationships with their installers, and understand construction jargon. This makes them ideal advocates for a homeowner’s design needs. They can verify that contractors are executing designs, because they are present throughout the kitchen’s construction. Designing a kitchen would take twice as long without the help of professionals from Bow Valley Kitchens. Coordinating plumbing schedules, figuring out how long flooring takes to cure and knowing when to install kitchen cabinets can be overwhelming. Neglecting such details results in painful memories. 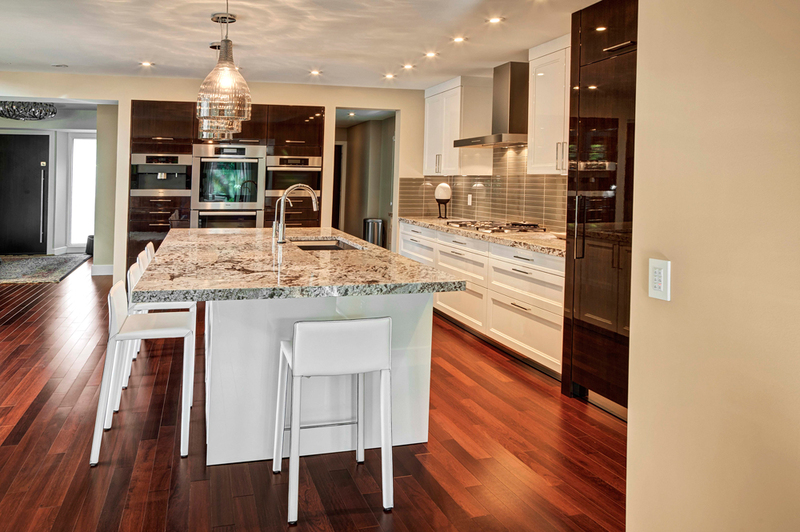 Bow Valley Kitchens’ designers update themselves with modern kitchen trends. They will use the latest open shelf designs that are popular and functional. If desired, they will line kitchen walls with trendy wallpaper. These designers understand how to blend tradition and modernity. Traditional kitchens with a modern twist are among the latest design innovations, and Bow Valley Kitchens is familiar with them. The designers will construct a modern kitchen with eye-catching ceilings, using the latest bulkheads, coffers and beams. Minimalist black cabinets with shaker style doors are a recent trend, and the company has these available. 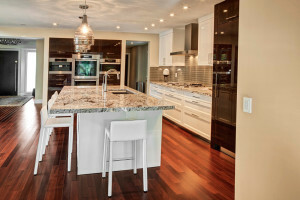 A professional designer from Bow Valley Kitchens reduces construction headaches and will give any kitchen a modern feel.